Interview with KXLU 88.9 "Alma del Barrio"
“Manigua Productions is proud to present Houses Without Walls, written and directed by Susannah Rodriguez Drissi. Houses Without Walls portrays two generations of women coping with motherhood and madness in the aftermath of the Cuban Revolution of 1959. 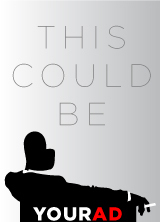 Candela and Gloria’s stories are almost impossible to tell apart. Each day, without reprieve, they speak to themselves and to each other across a wall. One day, however, the wall no longer holds, and Candela and Gloria come face to face. Premieres at the Hollywood Fringe Festival on June 3rd at Stephanie Feury Theatre Studio, 5636 Melrose Ave, Los Angeles, CA 90038. Hollywood, CA, April 21, 2018, Manigua Productions is proud to present Houses Without Walls, written and directed by Susannah Rodriguez Drissi. 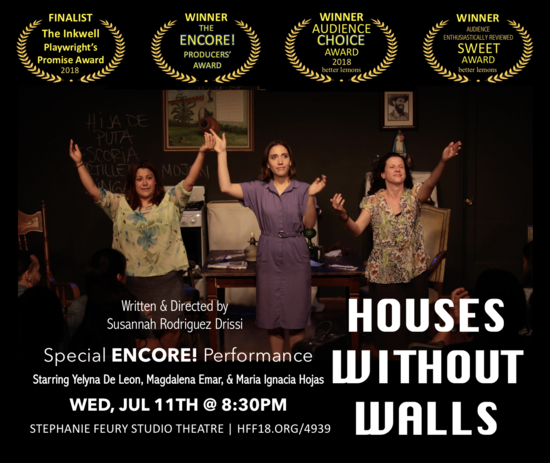 Houses Without Walls portrays two generations of women coping with motherhood and madness in the aftermath of the Cuban Revolution of 1959. Candela and Gloria’s stories are almost impossible to tell apart. Each day, without reprieve, they speak to themselves and to each other across a wall. One day, however, the wall no longer holds, and Candela and Gloria come face to face. Premiers at the Hollywood Fringe Festival on June 3rd at Stephanie Feury Theatre Studio, 5636 Melrose Ave, Los Angeles, CA 90038.